True words of thoughtfulness, Himanshi. Great post. 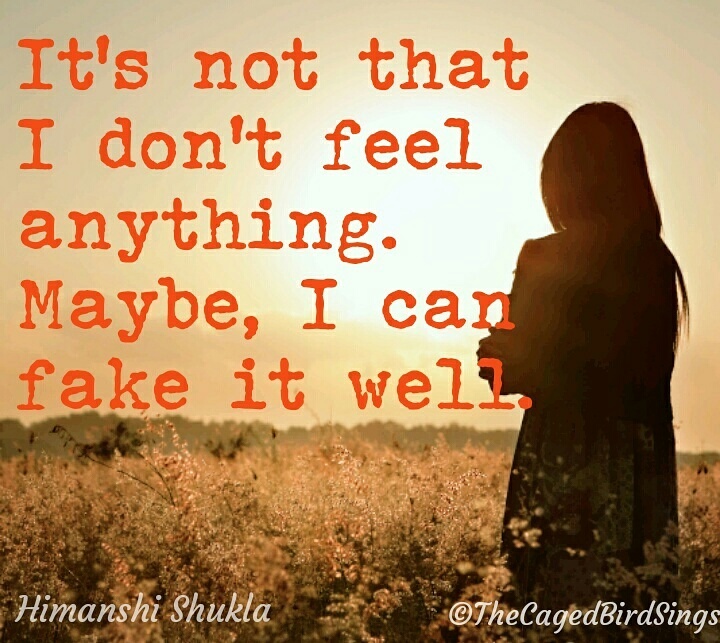 Try not to fake it.. it is like killing one’s true self, if you need to fake it. Be yourself, and be happy! Happy New Year! It is better to feel than fake, you make a liar of your own feelings! Wow. You said so much in such few words! I’m sorry sometimes I’m a little forthright, if not outspoken ! That’s great! thank you for being so understanding!